It’s Friday, and time for the most important Counterparty news and updates from this past week. Yesterday, April 2nd, marked the end of the Counterparty Foundation community director nominations and the start of the two-week long voting period. Addresses and names of the candidates will be displayed on the Blockscan voting scoreboard and shared on our social media channels. So stay tuned for that. In other news from the team, Symbiont created a Counterparty Ripple gateway which will enable Counterparty users to transfer XCP and user tokens in a low cost and near real-time manner. You can read the official press release on PR NewsWire. 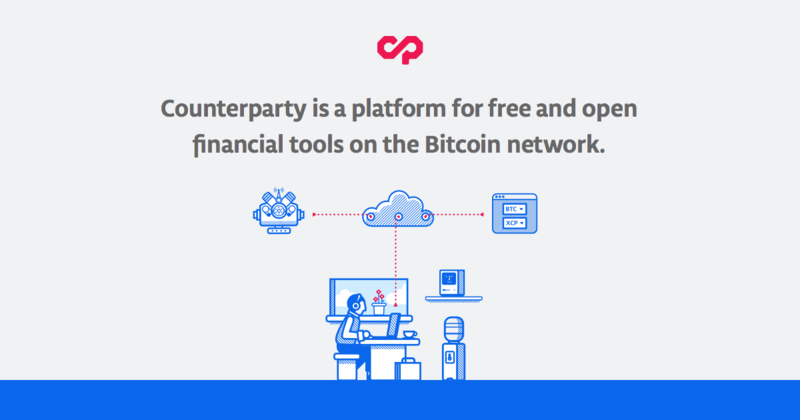 Finally, last week the Counterparty project reached a major milestone – 200,000 transactions on the Counterparty network! When comparing that to the first milestone of 100,000 transactions in November which took 10 months to reach, the progress is evident. The amount of transactions published on the network has more than doubled in just 4 months, and at this pace we can expect to hit half a million by the end of the year. Our community director, Chris DeRose has been selected to provide mentorship to contestants in the Singapore Blockchainhack Hackathon, sponsored by DBS. The hackathon is scheduled for May 8th – 9th and is offering winners over $30,000 USD in cash and prizes. More information is available on http://www.startupbootcamp.org/blockchainhack. Chris also published a video this week, explaining how to vote for the Counterparty Foundation election. Although the voting procedure is fairly simple, you might want to check out the video and make sure you’re familiar with the process. Robert Ross, community director candidate and founder of FoldingCoin Inc. started a series of YouTube videos dedicated to Counterparty. You can watch his first introductory video here. Another important update from the community is the release of the new XCP wallet for Chrome v.0.1.4 developed by our community member Joe Looney. The new version includes asset icons taken from CounterpartyChain. If you haven’t already, be sure to download the app from the Chrome store and give it a try. On April 1st we released new versions of counterparty-lib, v9.51.0 and counterparty-cli v1.1.0. The counterparty-lib is an incremental upgrade with a few minor protocol changes, the most significant one being the addition of the HTTP REST API which makes it easier for developers to interact with the Counterparty reference client. The release notes for the new version are available here. That concludes our update for this week. If you have any questions you can contact us via our support channel, gitter, forum or github. Don’t forget to follow us on social media and subscribe to our newsletter to receive weekly updates via email.